Billy White Roofing, LLC began in 1994 as a professional, reliable roofing company serving Jackson area businesses and homeowners. Since the days when owner Billy White worked the "tough jobs" no one else would handle with a crew of two other roofers, the business has grown by leaps and bounds. Over the years, Billy White Roofing developed specialties in a range of roofing applications, including asphalt and fiberglass shingles, architectural residential shingles, low-slope EPDM rubber roof and TPO heat welded systems, standing seam metal roofing and residential metal tile and shake. Today, Billy White is an experienced contractor with a proven track record who works with more than two dozen team members to serve Jackson County and the surrounding areas. When you choose Billy White Roofing, you'll not only enjoy an increased property value and peace of mind, you'll see pride of ownership in everything we do. We take care to protect your property during the job, maintain a clean jobsite and work efficiently. When the job is complete, a thorough, multipoint inspection ensures that your new roof system is exceptional. You'll never have to worry about failures in workmanship, as all our jobs carry labor warrantees. Absolute Quality Roofing, owned by Martin Sattler, is a roofing contractor that services commercial and residential roofing needs. 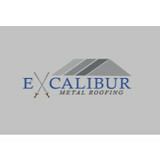 Their roofing contractors have over 40 years of combined experience. This experience allows them to be able to handle all roofing projects from installation to replacement. Our roofing contractors have the knowledge, skill, method, and expertise to help you with all of your residential or commercial roofing needs. We were established in 2012 by builders and roofers with over 40 years of combined experience in the industry. This professional team has unsurpassed skill and experience. Our professional Toledo roofing contractors are all professionally trained and licensed. We maintain a full-line of trade insurance. Our contractors take an immense amount of pride in our work. We hold ourselves to an extremely high standard of excellence. We apply and extremely attuned attention to detail to every project. With this supreme combination of credentials, skills, and mentality, we can guarantee the highest quality roofing services possible. 4 Guys and a Roof focuses on roofing services, new roofs, replacement roofs, and roofing repairs in Northwest Ohio and Southeast Michigan. 4 Guys and a Roof are an Owens Corning Preferred Roofing Contractor with over 15 years experience offering a broad range of residential and commercial roofing services and products, including gutters, gutter protection and insulation options too. 4 Guys & A Roof stands behind the philosophy a complete roofing system begins with Owens Corning's wide array of roofing shingles and accessories. As a Preferred Owens Corning® Roofing Contractor 4 Guys & A Roof is backed by the Owens Corning® brand. Reasons to Choose 4 Guys & A Roof an Owens Corning Preferred Roofing Contractor for Your Next Replacement Roof or Roofing Repair! 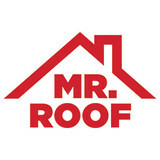 — Free Roof Analysis and Estimate — Owner Operated - We always get the job done on-time and on-budget — Satisfaction Guaranteed on all Roofing Jobs — Experience in Roofing Installation and Roof Repairs You Can Trust — Providing Northwest Ohio & Southeast Michigan with Superior Roofing Services Since 1998 — Workmanship and Roofing Products Guaranteed — Over 100+ A Rating Reviews on Angie's List - And Growing Every Day — Member AND Board Member of the Professional Remodelers Organization (PRO) — Accredited BBB Member with A+ Rating Since 2004 - Check our rating now! Our History Holt Roofing is a third generation family owned Toledo based company founded on the principle of honest, fair, and quality work. The company was established by Floyd Holt in 1947 who managed the family business until he passed away in 1966. His son, Jack, then took the reins. Jack had a simple philosophy for running the business that his father taught him… “I treated my customers like I would like to be treated. We took care of them, treated them right and offered honest fair service”. Jack’s wife Cynthia said, “If there was a problem we take care of it right away”. Today Jack’s son Mark and daughter Beth run the company with the same honest, fair, quality-minded service taught by their father. Both Mark and Beth grew up in the business working their way up the ladder and learning the roofing business from the ground up. They are both proud of their family’s excellent reputation and family ownership. Holt believes that business is about people including their employees. Beth says, “Our employees are the reason we are successful and we treat them like family”. Residential Renovations Ltd is a full service remodeling and handyman service company with more than 30 years experience in Ohio and Michigan. We are fully licensed and insured and use factory trained certified installers for all of our construction and remodeling projects. We offer a lifetime warranties that includes materials and labor on our full line of Metal Roofing, Asphalt Roofing, Vinyl Siding, Replacement Windows, Wood Windows, All Season Sunrooms, Pergolas, Decks and Patios, Insulation, Foil Radiant Barriers and more. Plus! No Hassle, and always Free Estimates too! Though it was originally founded in 1996, the craftsman of All-Nu have decades of experience in the construction industry between them. They encompass a wide variety of expertise, ensuring that All-Nu is able to assist their clients with any project, no matter how big or small, simple or complex. It is All-Nu’s dedication to our customers which sets us apart from our competitors. We work for our clients, not around them, allowing them to take a truly collaborative role in meeting every one of their needs. Kitchen or bathroom remodeling, exterior restoration, roofing, additions, renovations: All-Nu can accomplish all of this, and more, at an expert level. With our help, your home or business will truly be able to reach its highest possible level of potential. Sattler Roofing & Restoration LLC is a fully licensed and insured company based in Perrysburg, Ohio. We provide Toledo area homeowners with roofing and restoration contracting services and offer the knowledge and experience to handle any insurance claim with ease. We do all we can to make the process of restoring your home seem effortless. Our mission is to provide our valued customers with quality service on each project, taking time and care to ensure that our customers are involved and understand each step in the project process. We fully assure our customers that they will receive complete personal and professional attention to their project. As a Owens Corning Platinum Preferred Contractor, we pay attention to every element that works along with your roof to provide your home with protection, efficiency, and safety. Our staff of professional roofing contractors cares about the process as much as the finished product. We want to make sure we provide you with answers and guidance through the entire process. Whether you are having your whole roof replaced or you need help with minor roof repairs, we offer you the courtesy and respect a trusted roofing company should. Roofs and gutters are two home elements that, when they do their job, go unnoticed. But when they malfunction, they make their presence known in a hurry — that’s where knowing a good Toledo roofer comes in handy. Hire the right roofing company in Toledo, OH to install, repair and maintain your roof and gutters, and you’ll ensure that these essentials perform at their peak. What do roofing companies in Toledo, OH do? 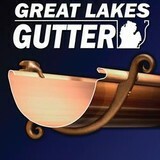 Your Toledo, OH roofing contractor can install a new roof or repair an old one, as well as repair and replace gutters. Good roofers in Toledo, OH should be able to promptly inspect roofs and gutters to assess damage after a natural disaster or other event, and give you an estimate for the necessary roof repair immediately. Some Toledo roofing companies specialize in specific types of roofs, such as tile or metal, so make sure the one you are interested in works with the materials you have or desire. Find a Toledo roofer on Houzz. 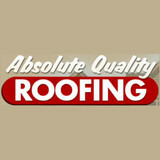 Narrow your search in the Professionals section of the website to roofing companies in Toledo, OH. If you’re planning a large-scale project, find other professionals on Houzz who can help get the job done. Here are some related professionals and vendors to complement the work of roofing & gutters: General Contractors, Specialty Contractors, Siding & Exteriors, Door Sales & Installation, Garage Door Sales & Installation.